BJP national general secretary Kailash Vijayvargiya has demanded a CBI probe into the child trafficking case in north Bengal to find out the real culprits. The party’s womens wing leader Juhi Chowdhury and several others were arrested by the CID in connection with the child trafficking case in North Bengal in March. “The West Bengal government will have to prove links of BJP leaders in the case. 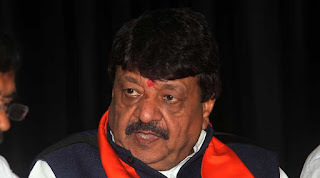 If they cannot, it will be clear that the Trinamool government is lodging false cases against party leaders to tarnish their image,” Vijayvargiya told reporters in Jalpaiguri. “For a fair probe a CBI investigation is necessary,” he said. Chowdury was removed from from the post of the secretary of BJP’s women’s wing in the state. Her father, Rabindranath Chowdhury, member of the party’s state committee, was also removed from his post. Vijayvargiya alleged that the family members of West Bengal Chief Minister Mamata Banerjee had acquired a large amount property and said that he would provide proof of it in future. He claimed that the state government was playing votebank politics and using police for that purpose. Vijayvargiya also listed the achievements of the BJP-led NDA government, which is celebrating its third anniversary, like launching Jan Dhan Yojona and Mudra bank.